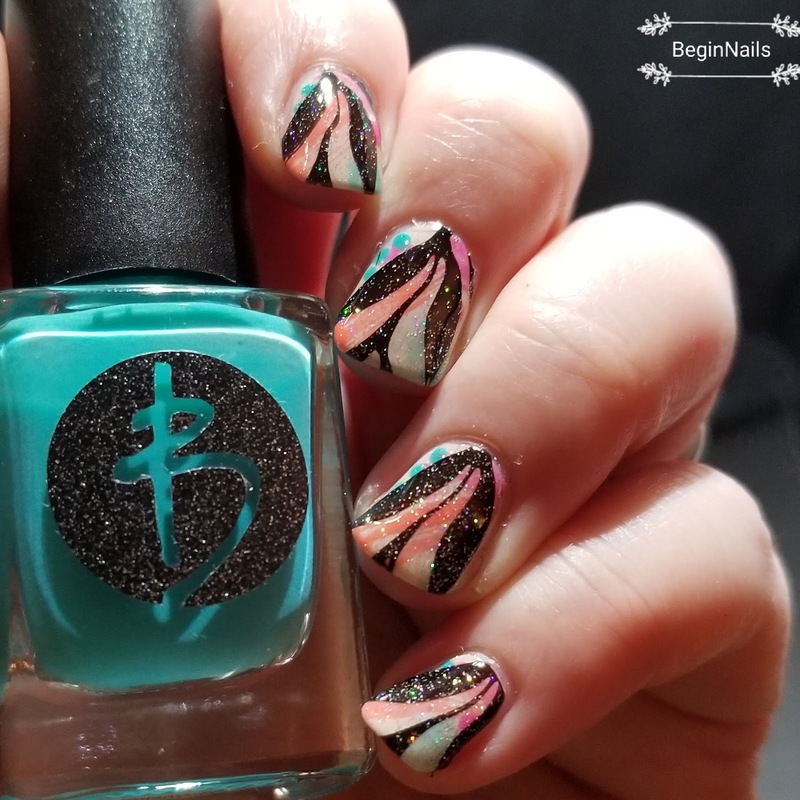 I started with Humble and did some random art with the remaining Bliss Polishes. 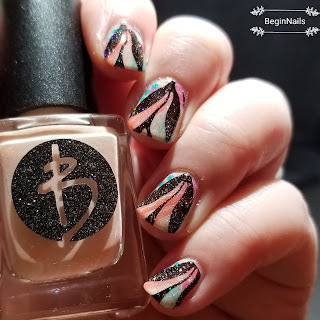 I then stamped with DP02 to give a water marble look. Everything is topped with a glossy top coat. The dots, the touch of glitter! how fun! Do you have a tutorial for this one? 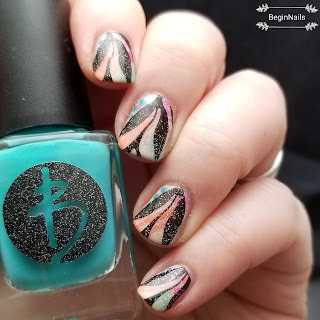 That's a great stamp if it gives this marble effect. I love the addition of the glitter to this! Another great marble! Love the sparkle. That stamp is very convincing! Looks like a water marble to me! Love your delicate marbling! It almost looks like abstract Eiffel Tower design.